This months insider tip is on how you could "upgrade" your current boat, VERSUS selling it and buying another one. Selling your current boat and purchasing another boat can cost a small fortune, so let's look at some of the popular upgrade/improvement options. 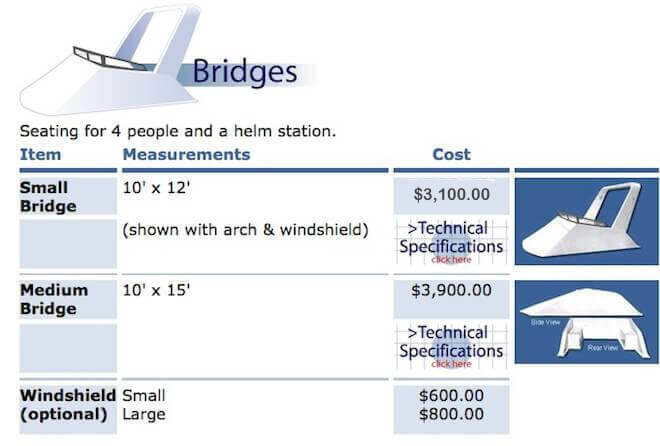 * Fiberglass Products: water slides, flybridges, party tops, grills & bars. * Tow your Dinghy, PWC, Day Boat, Pontoon, Jet-Ski with your own boat. * Solar Power: generate your own clean, silent power with solar panels. 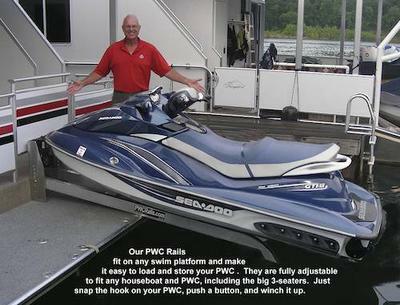 * PWC Rails: jet ski lift and sea-doo rails on your boat's swim platform. * Bow & Stern Thrusters: easily control your boat's docking like a pro. * Pump-Out Adapter: new design eliminates the hassle of pumping out. * Huge Discounts & Free Shipping on Items in our Liquidation Center. 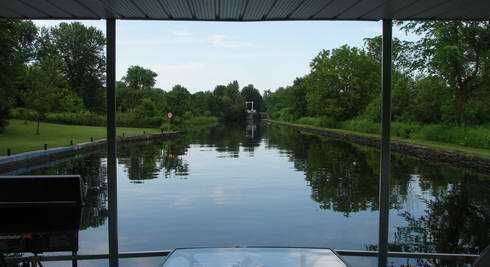 * Can I take a houseboat on the ICW, or on the Great Loop? 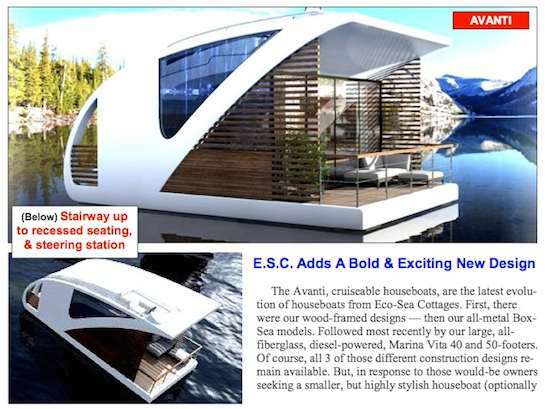 * Marinas: What does it cost for a houseboat dock or slip? 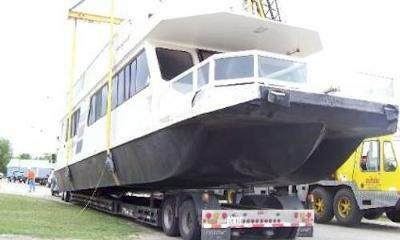 * Buying a Boat: Tips to read before buying your houseboat. * Which is better, a marine refrigerator or a propane fridge?